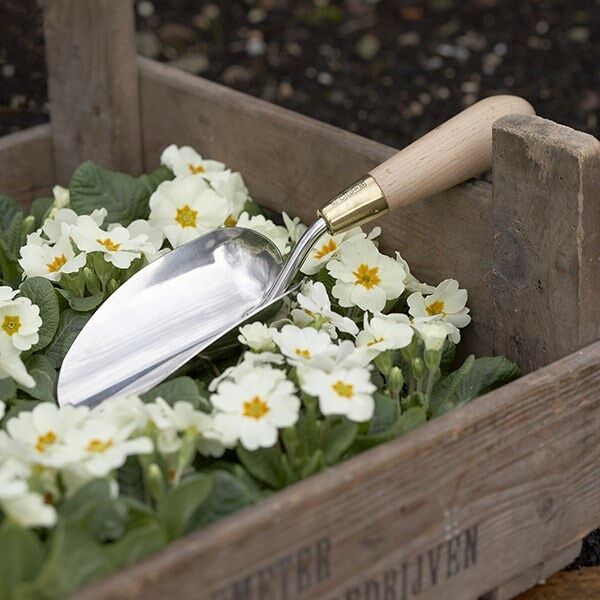 Designed with female gardeners in mind, this Sophie Conran trowel has a smaller, lighter handle for more comfortable use. The stainless steel head has curved backstops to prevent soil spillage and a mirror-polished finish that looks great in the shed. A solid brass ferrule connects head and handle for strength and durability under pressure. The natural waxed beech handle gradually moulds to the shape of the hand, making it more comfortable with every passing year. To keep in tip-top condition, wipe down with a warm soapy cloth after use. Supplied in a pastel green Sophie Conran presentation box.